With over 74 million fans in attendance in 2013, Major League Baseball games offer businesses an incredible opportunity for brand awareness across a broad demographic. The MLB is one of the most successful businesses in the world of professional sports. It has a loyal fan base that varies in demographic, making it an ideal environment for your marketing campaign. One unique factor that the MLB brags over other professional sports is the leveled representation of males and females in the crowd. Whether you’re looking to target men, women, or families with your advertising campaign – MLB advertising is a good choice. Few professional organizations can say this about their fan base, primarily because the male audience is (typically) so overpowering. 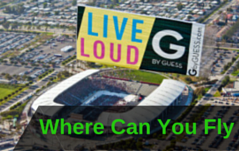 If you are looking to generate buzz, aerial advertising at a MLB game is the right choice for you. 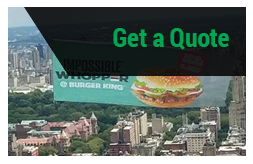 One thing is certain, aerial advertising, whether it is with aerial banners, advertising blimps, or sky writing, is effective at targeting large groups of people and getting your marketing campaign noticed. People engage with sports advertising like nothing else. By getting creative with your aerial ad messaging, you can easily have thousands of people tweeting your hashtag, checking out your website, and hopefully, buying your product. Layer in potential television coverage and tailgates well before the game and the opportunity becomes even bigger. Plane banners, blimps, and sky typing are perfect solutions for a high-impact marketing campaign, and Van Wagner Aerial Media is the leading provider in the industry. Your aerial ad will get attention, and surpass the clutter of advertising in and around the ball park as well as on television. And remember, the baseball community is one of the most loyal fan bases out there. By affiliating your brand with the home team, you’re building up a relationship with the community, something that is fundamental in any consumer/seller relationship. 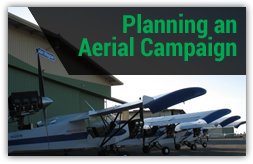 To learn more about aerial banner cost and other related questions, contact us today! Or click below for a free quote! Interested in learning more? Download the guide below.